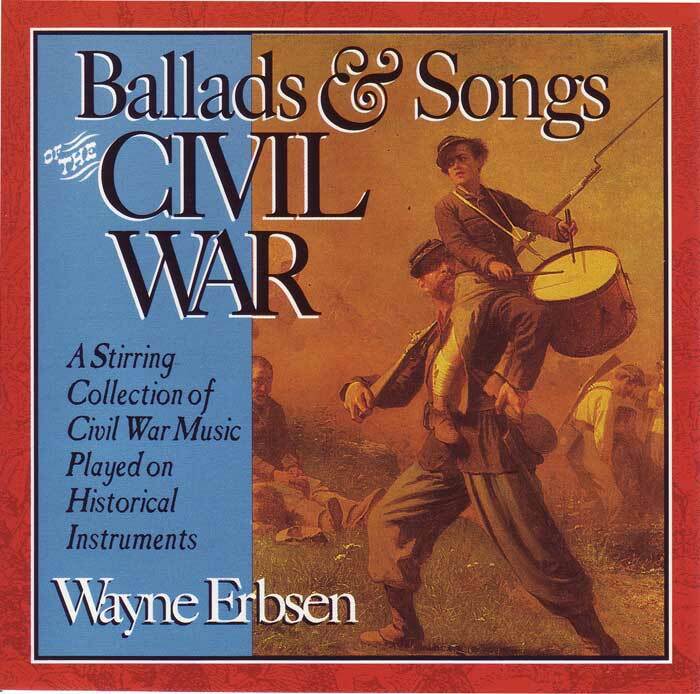 A stirring collection of Civil War music from both sides of the conflict performed on historic instruments by Wayne Erbsen. Featured in NPR’s Wireless® catalog, the “American Heritage”® CD-ROM on the Civil War, “Time-Life’s®” History Book Club and Microsoft’s® Encarta 2000. Features David Holt on harmonica, spoons, washboard, tambourine. 50 minutes, 12 vocals, 2 instrumentals. Click musical notes, below, to hear a short sound clip of that song. THE SONGS: Lorena, Bonnie Blue Flag, Just Before the Battle Mother, Battle Cry of Freedom, The Southern Wagon, Here’s Your Mule, Tramp, Tramp, Tramp, Dixie’s Land, Cumberland Gap, Southern Soldier , There was an Old Soldier, John Brown’s Dream, I Can Whip the Scoundrel, The Cumberland and the Merrimac. Be the first to review “Ballads & Songs of the Civil War” Click here to cancel reply.